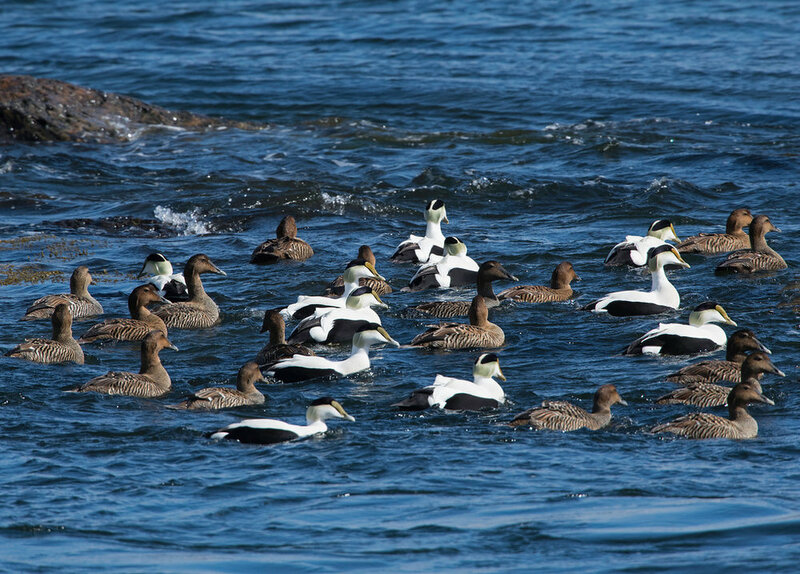 It’s not only still snowing as we speak, most of the large raft of Common Eiders are still “wintering” off Blue Hill Falls, where these images were taken last week. Why haven’t these ducks left? Probably because it still feels like winter here. The brown females outnumber the males, as usual, but the white males stand out at a distance. They’ll soon leave to nest, primarily in colonies on sea islands off Canada, Maine, and Massachusetts. They prefer islands that are free of their larger predators: humans, seals, dogs, coyotes, foxes and raccoons. However, they have perennial problems protecting ducklings from Bald Eagles and Gulls, especially Great Black-Backed Gulls. 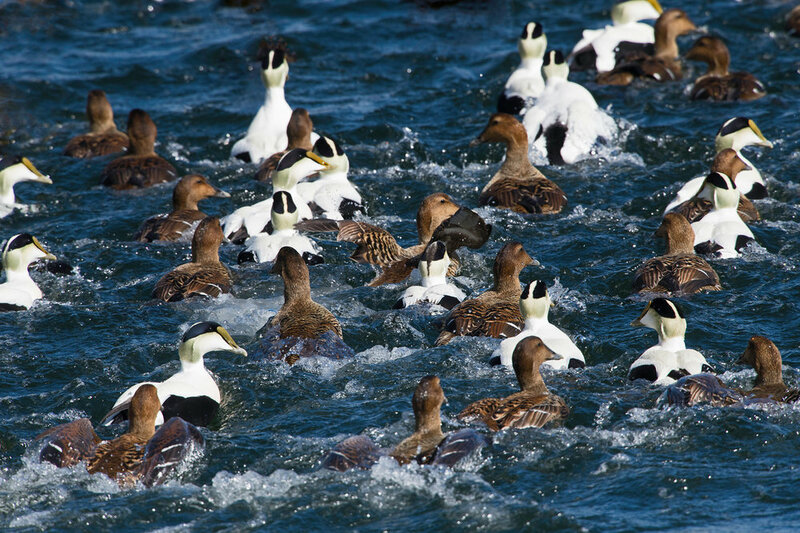 After the ducklings can fly, the Eiders will head out to open sea and remain there in relative peace until winter.